It just got easier to find the best talent for the oilfield - from the oilfield. 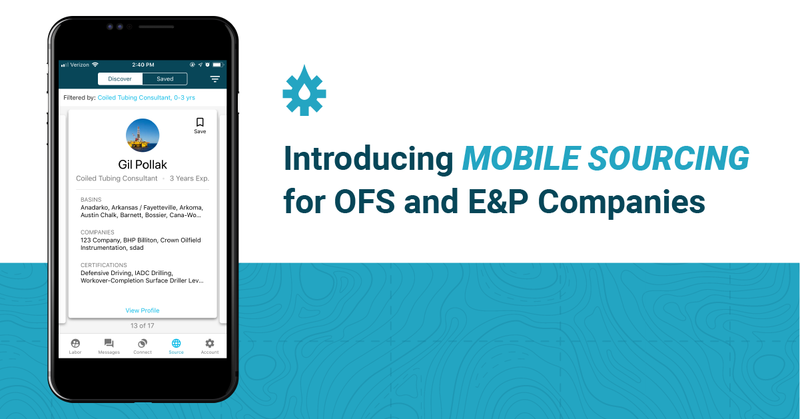 Introducing Mobile Sourcing for OFS and E&P companies. RigUp understands that life in the energy business moves fast. OFS and E&P companies need to be able to quickly source the labor they need to get the job done - and they have to be able to trust that they’re making the best decisions possible while mitigating risk with the talent they hire. RigUp set out to solve these problems by building the industry’s largest online marketplace. 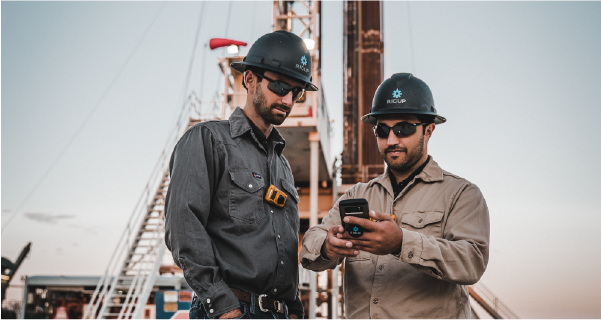 Now, the team built for the oilfield by the oilfield, is taking the mission a step further by bringing labor sourcing to your mobile device. Now, whether you’re in the office or in the field, the power of the RigUp marketplace is at your fingertips. Use a variety of filters to narrow down your search to the exact talent you’re looking for. Scroll through available service providers to find the best person for the job. Then, contact and even hire contractors through the app. Mobile Sourcing helps you find the 1099 contractors you need anytime, anywhere - directly from your phone or tablet. Download app and select Source. Choose Saved to search your preferred contractors by location, or Discover to browse our marketplace. Search by job, years of experience, location, and radius. Scroll through your results and filter by basin, recommendations, work history, and certifications. View, save, chat, call, email, and even hire contractors directly from the app. Mobile Sourcing is our first step toward allowing buyers to run the entire hiring and onboarding process through our mobile app. It’s all part of our mission to empower the people who power the world. Go to the App Store or Google Play Store to download the RigUp app and start hiring. It’s tax season! RigUp is here to help. Thanks to online marketplaces like RigUp, it’s easier than ever for people to work for themselves as 1099 independent contractors, especially in industries like oil & gas. With the great freedom of contract work, however, comes the great responsibility of 1099 taxes. We recommend speaking to a tax professional when preparing your taxes to make sure you’re getting as much of your hard earned money back as possible. In the meantime, here are some industry tips to help you get the most out of your taxes with the least headache possible. Separate your business and personal accounts from the beginning of the year, so you can easily calculate deductions. Set aside around 15% of your total earnings to cover this tax that encompasses your cash contributions to Medicare and social security. W-2 workers make these payments automatically, and their employers pay half. As a 1099 employee, you’re required to pay this full amount yourself - so be prepared! Use a 1040-ES to estimate the total you’ll need to pay for the quarter. It only takes about 10 minutes to complete the worksheet. Keep a savings equal to at least a year of unemployment, if you can. It’s just good practice in the industry. Also, open a separate account just for your tax payments. Transfer 25% of each month’s earnings into this account. As a self-employed person, you have the ability to fund thousands to a SEP (Simplified Employee Pension) or a Solo 401(k) in a tax deductible manner. Don’t try to deduct the following expenses. This could lead to an audit and a costly headache. Remember that it’s always best to work with a CPA when preparing your taxes. For more info from the IRS, click here.